This entry was posted in History and tagged Luddites. Bookmark the permalink. Kurt Vonnegut was a proud Luddite. He used to wax lyrical about simple pleasures like hand writing a letter, walking to the post office, interacting with people in line to buy his stamp, and so on instead of just sending an email. I’m with him – my BlackBerry just means I never get to be off the clock. I’d love to leave a comment but my pencil needs sharpening. 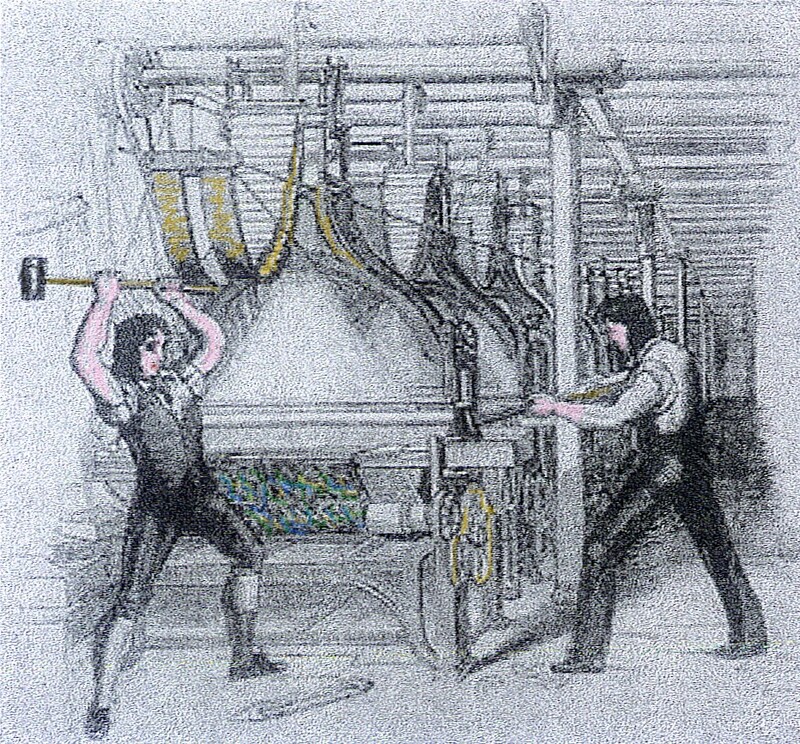 Great explanation the origin of the term Luddites. I’ve been seeing the term a lot lately and thought it might be from the Bible. It’s strange, but the people I see most often accusing others of being Luddites are those opposed to green technologies They’re resistant to change and quick to deny environmental decay, global warning and anything that would change their existing lifestyle. So who’re the real Luddites, hmmm?